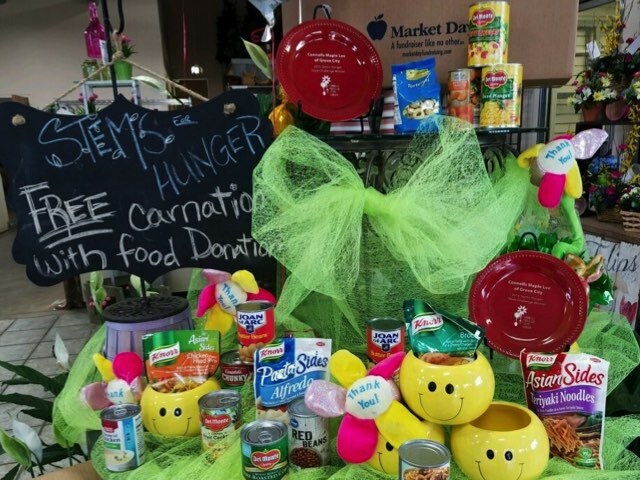 Connells Maple Lee Flowers & Gifts’ annual food drive returns June 17-July 1. In 2016, Neighborhood Services (neighborhoodservicesinc.org) welcomed 9,867 total family visits for food assistance. Donations may be dropped off during regular business hours at one of Connells Maple Lee’s stores: 3014 E. Broad St., Bexley; 2033 Stringtown Road, Grove City; or 8573 Owenfield Drive, Powell. For Neighborhood Services’ food wish list, click here. Another drop-off location is the Drayer Physical Therapy Institute outpatient center at 4090 Gantz Road, Grove City.